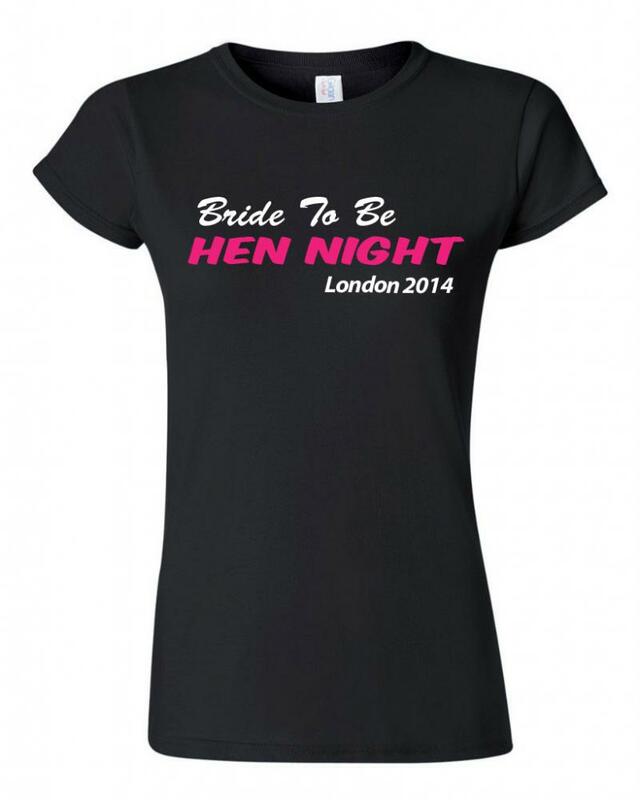 Make your night extra special and stand out from the crowd with our Printed Hen Night 'Bride to be' T-shirt. 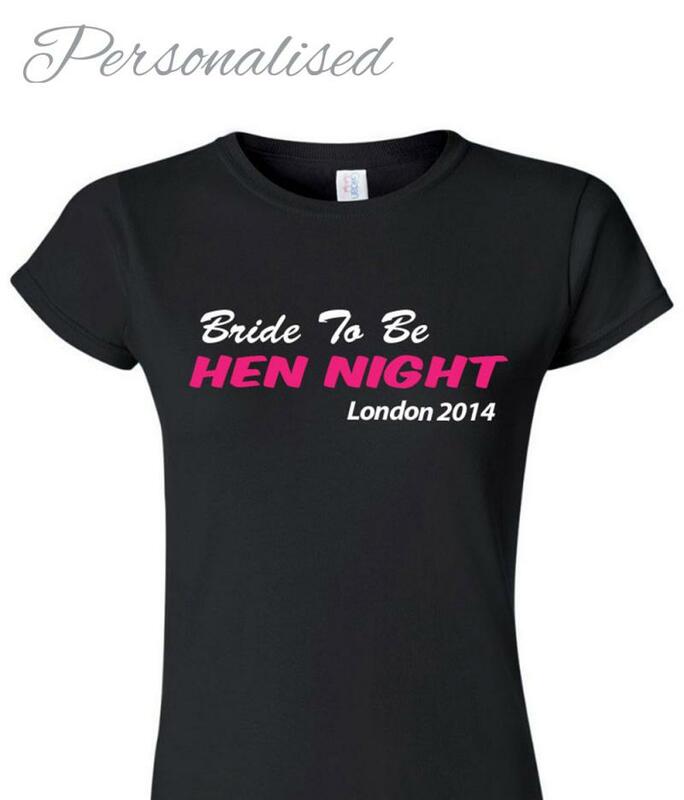 The town that your Hen Party is heading to and the year can be added into the design. - We print all of our garments in house using the latest printing technology and the highest quality vinyl.